Try our VIP tennis predictions today and get some big profits. Our team of tennis experts provides high quality tips for tennis matches with big winning rates for each month. Below we have the proof of our winning tennis predictions. Buy our VIP tennis predictions only if you agree our Terms and Conditions! 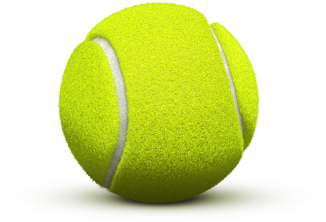 Contact us and ask for our paid tennis predictions of each day! Price: EURO 29.99 per prediction. Only daily predictions are sold. Our prediction is sent via e-mail as soon as possible. Please note that there may be delays when sending e-mails to clients. You will receive our prediction at least 2 hours before the game starts. Otherwise you will be refunded your amount. You will get your money back in the same way you transferred it for paying the prediction. You must comply with any international and national betting laws when using our services. We shall not be held responsable if you fail to do so! For gambling, betting or wagering please visit other sites. This is a site where you can get informed on sports related events! We are not responsible for any loss or damage you may directly or indirectly incur as a result of using this information for gambling or betting. You are is responsible to comply with your local laws to avoid breaking the laws in your country. Please do not sell our predictions, picks or other services. This may entail the suspension of your account and legal action. Why You Must Choose Our Tennis Predictions? Tennis is made for betting: only two players compete and you need to win all matches otherwise you’re out. With less variables it is much easier to predict tennis matches successfully than soccer or other sporting events. The odds are smaller but is safer to bet on tennis picks than other events. We offer daily tennis betting tips for all professional tennis matches. This means about 50 tennis picks per month for ATP, Challenger, ITF Men, WTA and ITF Women tournaments.